You know the drill. 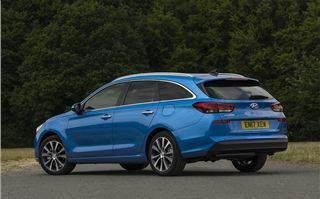 The Hyundai i30 Tourer (which is marketing speak for estate) is like the already very impressive hatchback, but with a more intelligently designed and spacious load area, fit for carrying bigger stuff. Job done, great work Hyundai. Road-test-in-a-nutshell complete. Of course, there’s more to it than that. For family use, holidays, dog owners, gardeners and whoever else might need it, there’s lots of space. 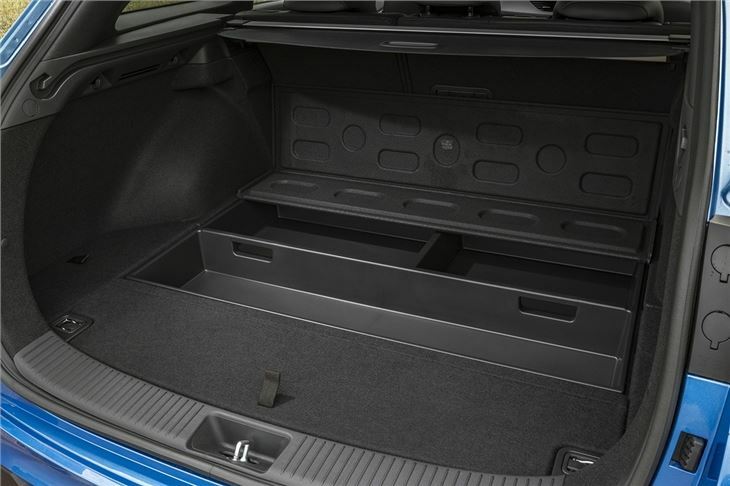 The boot volume is an ample 602 litres – more than a Ford Focus estate and almost as much as a Skoda Octavia estate. Load space is expandable to a huge 1650 litres too, should you have big objects like furniture to move around. Outright volume isn’t everything though – it’s no good having loads of capacity if you can’t access it. 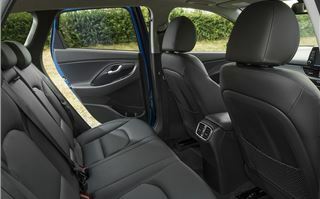 Pleasingly, there are no such problems with the i30 Tourer – its space is easy to get at and to use. The load deck is low, wide and flat, plus there's barely any load lip, so sliding bulky items out is easy without them snagging. There are two underfloor storage areas with several little compartments for keeping odds and ends like tools or gadgets hidden safely out of sight, along with a 12V outlet for chargers or accessories like a cool box or tyre compressor. 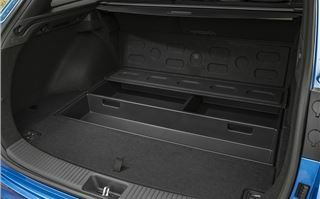 There’s also a through hatch for loading long items like skis or wooden planks without folding down the rear row of seats – though this isn’t standard on the most basic trim level. Rear head and legroom is more than sufficient for adults, plus there are wide opening doors so access for getting child seats in and out isn’t too difficult. The only problem is a lack of rear ventilation on anything except top Premium trim. 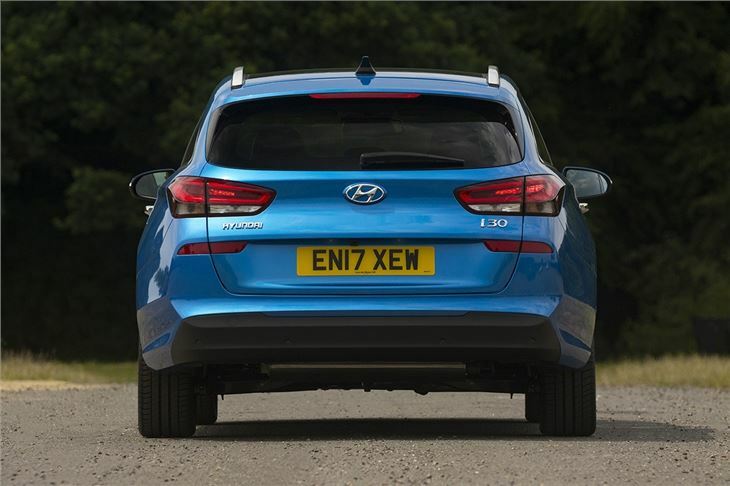 Up front you can’t tell the difference between the i30 Tourer and the hatchback – but that’s no bad thing. Material quality is good, as is the fit and finish. Nothing squeaks or rattles and the buttons, switches and touchscreen system, standard from SE trim upwards, all work logically and precisely. That said, it’s not exactly remarkable or outstanding in terms of design – it's just fuss-free and no-nonsense. It’s the same story with the drive. 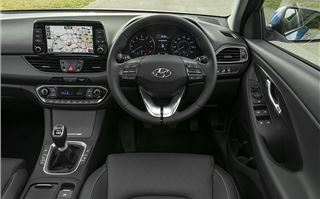 The i30, whether as a Tourer or hatchback, does everything you can reasonably expect a car to do without any complaint – but equally it’s missing that sparkle that elevates a car from being decent to excellent. Through corners it is very neat, the ride quality is good, the controls are extremely light and the engines are quiet. But if you enjoy driving there are plenty of better options, including the Ford Focus and Volkswagen Golf. Still, if you just want to get from A-to-B in comfort and serenity it’s fine. And even if you go for one of the low-powered engines like the 110PS 1.6-litre CRDi diesel tested here, you’ll find performance is ample for motorway cruising. The 110PS diesel produces 280Nm of torque from 1500-2500rpm, so it’s responsive at low revs – plus its economical with an official figure of 74.3mpg. 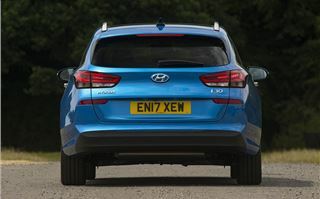 But we’d recommend a petrol – the 1.0-litre with 120PS and the 1.4-litre with 140PS are both smoother and almost as responsive – and both have official economy figures of more than 50mpg. Plenty of up-to-date technology is available, depending on what trim level you choose. 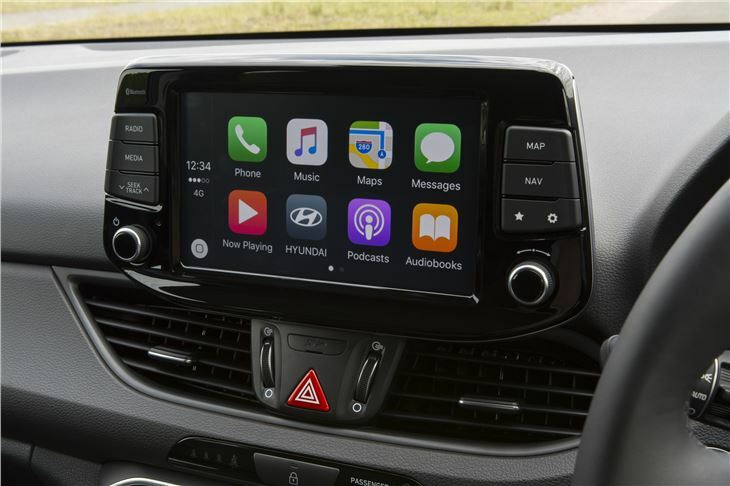 Most versions have a touchscreen system and, from SE Nav or higher, it supports Android Auto and Apple CarPlay, so accessing smartphone apps and maps on the move is easy. 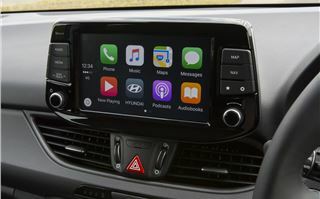 All versions come with Bluetooth, DAB radio, USB connectivity and a 12V socket. Safety gadgetry is generous as standard. Even the base S grade comes with hill start assistance, lane keep assist, cruise control, a speed limiter, autonomous emergency braking and automatic headlights. Top Premium versions also gain blind spot detection and rear cross traffic alert to help with reversing out of tricky spaces or driveways. 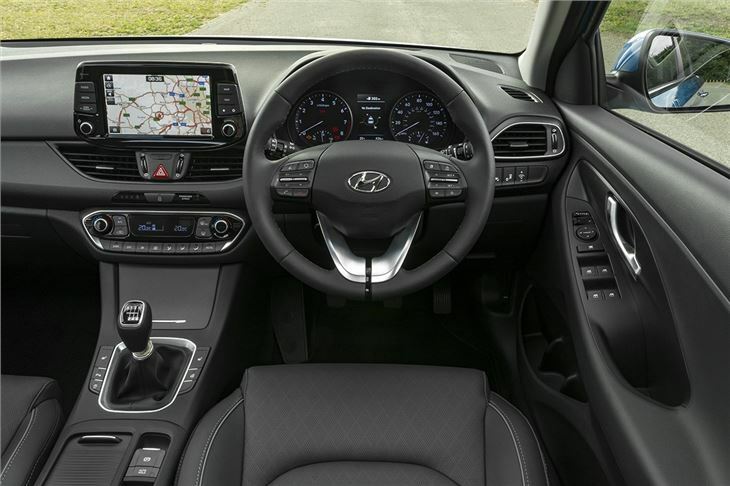 There’s very little to criticise with the i30 Tourer. It is genuinely spacious, well-equipped, decent to drive, well-made and has a good range of engines. The petrol choices are particularly impressive. 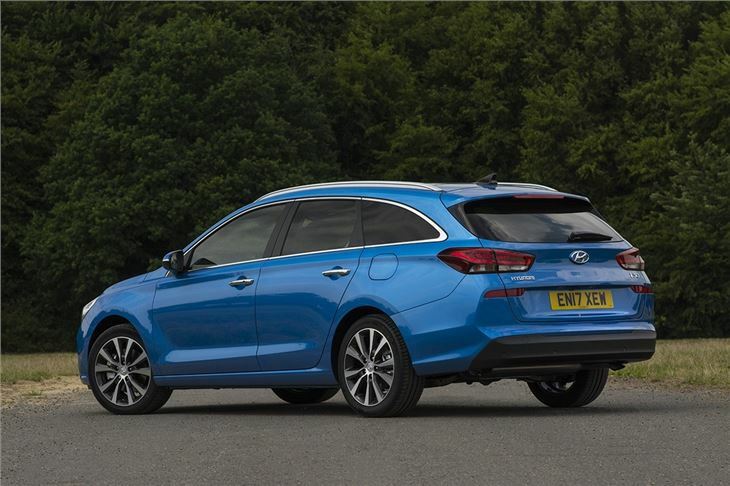 If you’re a keen driver there are better choices, plus pricing is in line with the more desirable Volkswagen Golf - so be sure to check out some rivals before picking the i30. 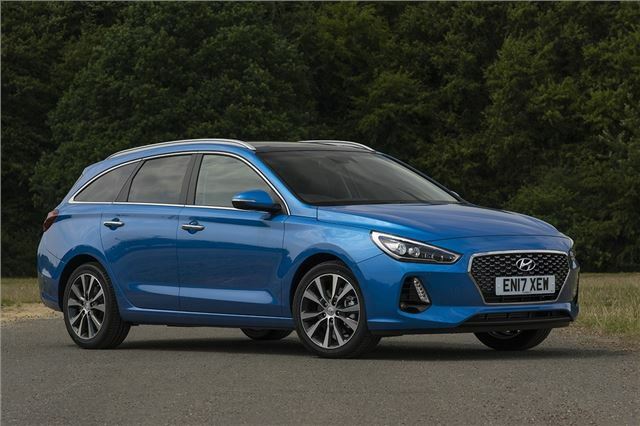 The Hyundai i30 Tourer is on sale now.